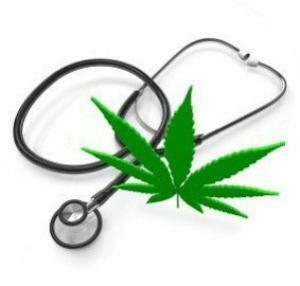 Last Friday, a lawmaker filed medical marijuana implementation bills. State Rep. Douglas House (R-North Little Rock) has filed a pair of bills aimed at the state's new medical marijuana law. House Bill 1057 would add national and state criminal background check requirements, while House Bill 1058 would amend the definition of written certification to clarify that it is not a medical record. The bills are not yet available on the legislative web site. As of Tuesday, Florida is now a medical marijuana state. The constitutional amendment approved by voters in November to legalize medical marijuana went into effect Tuesday. But the state doesn't have a distribution system up and running yet. Lawmakers and the state Department of Health will have to craft rules, with an implementation target date of September 9. On Tuesday, a public hearing heard calls for eased patient access. At a public hearing in Boston Tuesday, advocates called for changes in the state's medical marijuana law to allow hospices and nursing homes to provide the medicine for patients. "Hospice patients are literally out of time," said Elizabeth Dost, clinical director for the Massachusetts Patient Advocacy Alliance, which represents medical marijuana patients. "The patient's average length of stay (in hospice) in Massachusetts is 35 to 45 days. By the time they access cannabis, they are often deceased." Another public hearing is set for Thursday morning in Holyoke. Last Friday, a new bill being drafted would let patients grow their own. A bill currently in draft form would allow patients living at least 30 miles from a dispensary to grow their medicine. New Hampshire and Connecticut are the only New England states that don't allow patients to grow, and state Rep. Renny Cushing (D-Hampton) wants to change that. He said he is open to altering the bill's language, including the 30-mile provision. Last Friday, the territory got its first dispensaries. Medical marijuana dispensaries have begun operating in the US territory, Gov. Alejandro Garcia Padilla said Friday. He said two dispensaries are now open. The move comes nearly two years after his administration adopted a regulation to allow for medical marijuana.